While we all anxiously await the Friday the 13th reboot, a new video game is heading our way that allows us to step into the shoes of iconic slasher Jason Voorhees. And it looks a lot more fun than a found footage movie revolving around the legendary killer. Today, we have two new videos from this release simply titled Friday the 13th: The Game. And they're both gloriously gory and very scary. These two fun videos were released as part of the upcoming video game's appearance at PAX East in Boston, Massachusetts. Bloody Disgusting gives us the first clip, which shows Jason breaking through a door with his axe. We can hear the scared whines of a young girl, who Mr. Voorhees eventually kills. In this sneak peek, we see all the action from the POV of the victim. 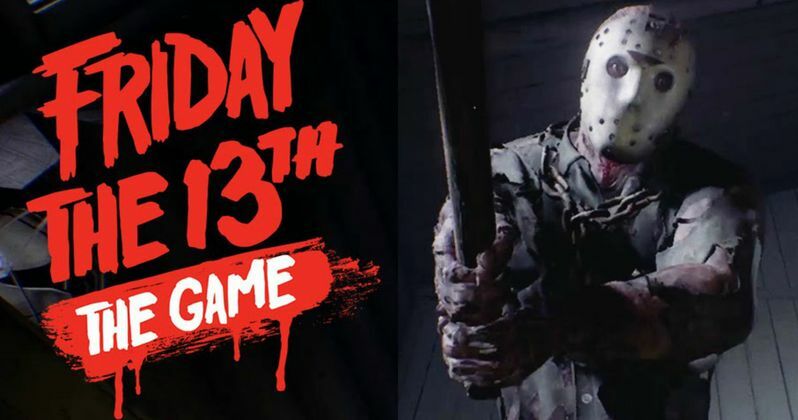 In the game, one player will get to be Jason, while other players joining the game will serve as the camp counselors who make up the slasher's death buffet. The video you see below comes from in-engine, and shows how some of the narrative unfolds during game play. The goal for anyone not playing Jason is to run, hide, and sneak past the brutal killer without getting caught. The teen in the video isn't so lucky, as the girl gets an axe through the head. The second kill video is pretty gory and violent. Here, we see Jason gleefully smash a young woman's head in a door until she doesn't have a head anymore. All that's left is a pile of red mush. This clip comes courtesy of MKIceandFire. And as you can see from the two videos, Jason will appear at various stages of his deterioration as seen over the span of 12 movies. His varying states of being undead are said to be one of the game's highlights. Friday The 13th: The Game is set to arrive later this year. Though, at this time, an exact street date has yet to be announced. The video game will be available for the Xbox One, PS4 and PC. Finally, you'll get to become Jason Voorhees and live out all your sadistic slasher fantasies. The killer was previously included in a Mortal Kombat X player pack, but this latest video game takes Jason back to his home at Camp Crystal Lake. You can see some of that gruesome action come to life in the two videos below.